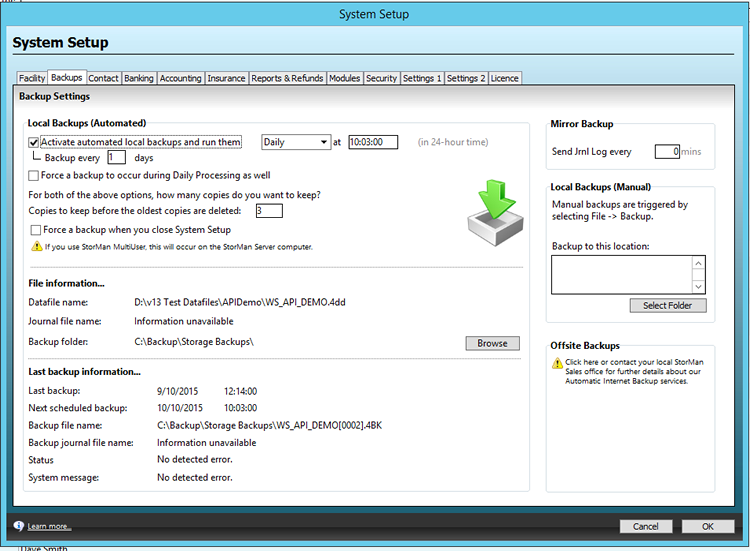 This article explains what each field is and does under the backups tab in system setup. The Local Backups (Automated) section is used to set the defaults for backups that Storman runs automatically, at the frequency & time you specify. The Local Backups (Manual) section is used to set the default save location for backups run off the File menu (ie: File -> Backup). You can also tick the option for having backups before Daily Processing and as soon as you close System Setup for when you have made changes.